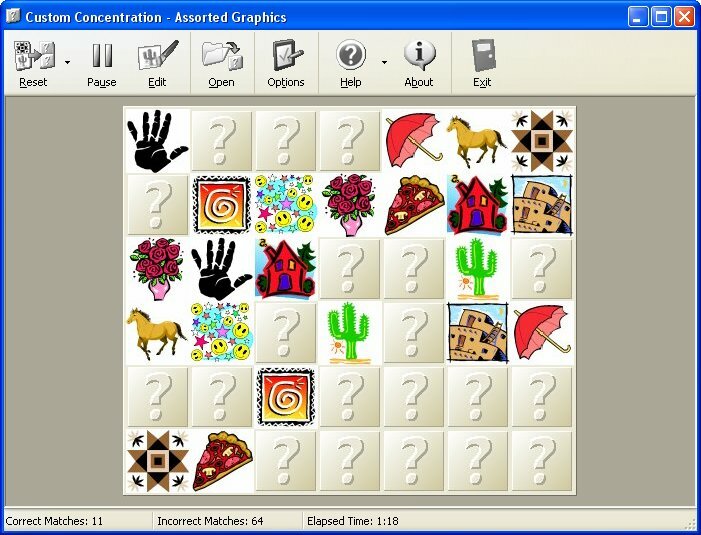 Test your memory in the classic tile-matching game, Concentration. Bot Productions's Custom Concentration is a free game for Microsoft Windows-based computers. Not only can you play Concentration with one of several included graphics sets, but you can also create your own games from images on your computer or on the Internet. New: Custom Concentration 1.61 is availble for download, fixing a crash that was exposed by a recent Internet Explorer security update. Find out more about Custom Concentration: learn about its features and browse through screenshots. Download Custom Concentration and additional games.